The 605094 Movado Museum Unisex Watch is one which has its particular advantages in its versatility; both in its style and in its practicality. The 605094 Movado Museum Unisex Watch features a large round stainless steel case with a horwitt black museum dial and a single round dot marker and a genuine black lizard skin wristband. 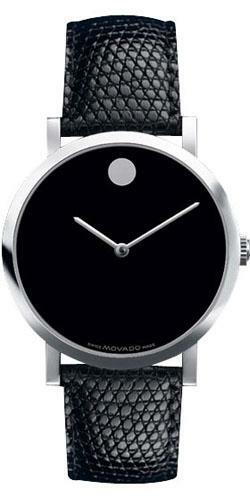 Almost every element of the design of the 605094 Movado Museum Unisex Watch appears favor a minimalist approach. 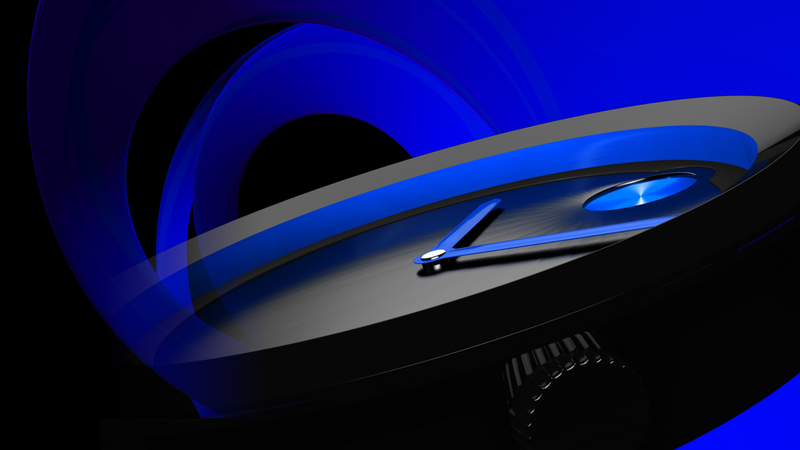 The horwitt museum black dial includes a lone round dot marker, flat on the surface of the dial. The stick hands are designed with a look that retains its class. At the same time, the simplicity of the stick hands clearly defines their purpose first and foremost as a timekeeping measure, while attracting attention through aesthetic is not of equivalent priority. Because of its simple and subtle style, the 605094 Movado Museum Unisex Watch is most well suited for a business casual setting, but its simplicity also makes it stylistically versatile enough for everyday use. The 605094 Movado Museum Unisex Watch is constructed with a 38mm oversized case of solid stainless steel which includes scratch resistant sapphire crystal and a water resistance of up to 30 meters. The wristband is made with genuine lizard skin and is fastened with a tang clasp. The 605094 Movado Museum Unisex Watch operates using automatic Swiss movement. The 605094 Movado Museum Unisex Watch retails at an MSRP of $1,150.00 and comes with a 2-Year Manufacturer’s Warranty at purchase.